Our Lady of Knock, Queen of Ireland, made her appearance at the rear gable of a humble Catholic Church in Knock Ireland on August 21, 1879, but she was not alone. As a gentle Irish rain fell on the muddy fields and as the farmers were returning from a long day of work in the field, Mary appeared with a bright light surrounding her and the rest of the apparition. Mary was joined by St. Joseph on her right, and St. John, the Evangelist on her left. Further to her left was an altar and upon that altar was a lamb and a cross; surrounding the lamb was a host of heavenly angels. 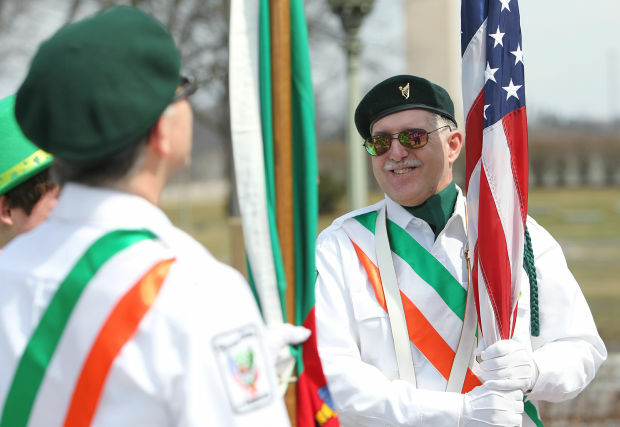 Brought to you by the Ancient Order of Hibernians, an Irish Catholic Organization formed to protect the Roman Catholic Clergy which now focuses on our faith and heritage. We will be attending our annual Mass for our deceased members and their families on the newly designated feast day of Our Lady of Knock, the 17th of August, at the St. Eleanor Regina Chapel at 1130 AM. We will have information and a dish to pass picnic luncheon after the Mass and encourage members of the Parish to attend and participate and meet our members and their families. We will also distribute Holy Cards depicting the event at all Masses on this special day. Any questions, please call Tom Kane 249-0089. 1. Turn right out of Marsh Drive, heading south on Holly Pike. Continue to follow PA-34 for 7.3 miles. 2. Once through Mount Holly and reach the Ahlstrom factory, make sure you keep right and don’t go up the hill. Follow the signs for PA-34. 3. Make a slight right onto Green Mountain road for 0.7 miles. 4. Head forward onto Pine Grove Road. Follow for 6.7 miles. 5. Turn right onto PA-233/Centerville Road for 1.1 miles. 6. Saint Eleanor Regina Chapel is on the left. Be sure to turn in BEFORE you see the large white sign.